Home » Best Practice » Case Studies » Burnside War Memorial Hospital Case Study » Who are Burnside and BloodSafe? Burnside Hospital is a private hospital set in tranquil, heritage-listed gardens just ten minutes from Adelaide’s city centre. It has a longstanding reputation for excellence and attracts patients from throughout South Australia and interstate. Its dedicated team is committed to providing safe contemporary care to every patient, every time. As a not-for-profit community-based hospital, Burnside reinvests all surplus funds in improving and upgrading services, facilities and equipment. 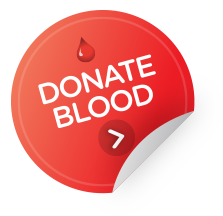 The BloodSafe program (‘BloodSafe’) is a blood transfusion safety and quality improvement collaborative between SA Health, the Australian Red Cross Blood Service, SA public and private hospitals and their transfusion service providers. Private hospitals in SA are supported by a part time BloodSafe Transfusion Nurse consultant to assist with transfusion quality improvement activities. South Australian Health’s partner program, BloodMove, works in parallel with BloodSafe, providing scientific and technical advice and resolving product transfer issues to reduce blood and blood product wastage.